This film is Dogme 4. In the Namibian desert in southwest Africa, a tourist bus strays far off course and runs out of petrol. The passengers stumble into the blinding sun and find themselves at an abandoned German mining station. 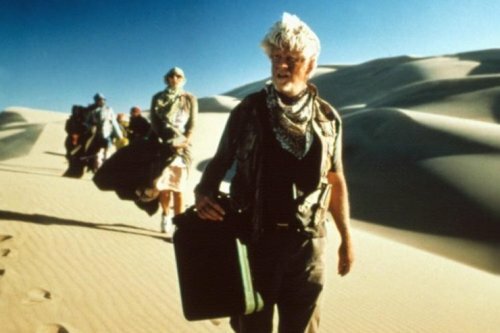 Jack the only passenger with any desert experience lectures them: There are five things you need to survive in the desert, and in descending order of importance they are water, food, shelter, making yourself visible and keeping up your spirits.